Despite giving up all my portfolio gains for the year and then some, I’m thankful for the incredible recovery we’ve had since 2009. Without the bull run, I probably wouldn’t have been able to stay unemployed since 2012. The value of money comes nowhere near the value of time. It’s sad the good times are going away. For so long, it’s been so easy to make easy money. Unless you’re Juggernaut, it’s probably not a good idea to step in front of a bus. The stock market is clearly telegraphing a slowdown in corporate earnings, and the economy by extension. The housing sector usually takes several years to work its way through a funk. The Fed has also made it clear it will continue to raise rates, no matter how much carnage there is in the short term. You would think they’d slow down their pace of rate increases in 2019, but I wouldn’t count on them being rational. With the yield curve resuming its flattening as investors find safety in longer duration treasuries, we need to seriously be careful about how much risk exposure we really want to take. Flat or inverted yield curves have seldom ever signified good news for the economy. Build your CD step stool folks. Enough of being a measured voice through times of volatility. During this Thanksgiving holiday, I wanted to share one extremely lucky event that occurred in my life. During times of difficulty, it’s always good to reflect and be grateful for what we have. I hope you will use the holidays to reflect on some of your fortunate events as well and share. The year is 2001 and the Nasdaq, down 50%, just celebrated its one year anniversary of hitting its peak. I’m finishing up the second year of my analyst program, paranoid that I won’t be getting the invite back for my third year. I always knew my chances for getting a third-year analyst role were slim-to-none since only superstars get to continue. But I kept the faith, much like cryptocurrency investors have erroneously kept the faith all year. I was truly a subpar performer who didn’t belong at the best investment bank in the world at the time. I dressed poorly because I didn’t know better as a public school kid who never had to dress up. Once, my VP barked at me, “Get that dog collar off your neck!” referencing a Hawaiian shell necklace my girlfriend had given me. I guess there is a benefit of going to an expensive prep school after all. I annoyed people. Another time, as I was humming something indistinguishable while reading some research material, an MD on the Latin America sales desk told me to keep quiet. She was the same MD I had had to get permission from to buy an MCI Worldcom call option, which had quickly gone to zero after purchase. I’m sure she thought I was an idiot. There was a reason why I had to go through 7 rounds and 55 interviews to get my job. No desk wanted me. I was an outsider who was forced into their vaunted club by an African-American recruiter named Kim Purkiss who never gave up on me. I owe her so much. As a junior analyst on the sales trading floor, one of my jobs was to pick up and screen phone calls for all our senior colleagues. Our desks were arranged in I-formation, with my boss sitting at one base of the I and me sitting on the side. His face was always obscured by a couple Bloomberg trading monitors. We communicated by shouting. At 9am, my boss’s phone rang and I hit his button on my large 20 line turret as quick as lightning. 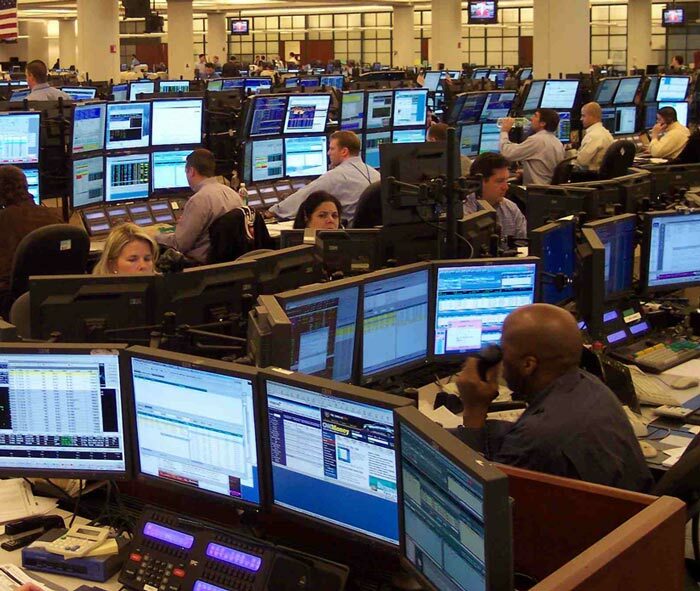 The trading floor was buzzing with activity in anticipation of the market open at 9:30am. “Hello, can I speak to Tom, please? It’s Jim,” said the man on the other end. Jim was calling from Hong Kong, where it was 10pm. Jim was the Head of the Asian Equities business at the time. He was the big, big boss. “Hi Jim! It’s Sam. Nice to hear from you. It’s late there. Hope all is well. Let me see if Tom is available. One sec.” I blurted out like a middle school boy trying to talk to a girl for the first time. I zoomed in between Tom’s monitors and saw he was staring at his screen while pounding away at his keyboard. “Tom! Jim is on line one!” I yelled as the buzz on the 49th floor of 1 New York Plaza started to crescendo. Tom didn’t acknowledge my call, but he picked up the line by saying “hello.” Not wanting to hang up on big bossman Jim in the middle of the night in Hong Kong, I stayed on to ensure they connected. In the past, I had sometimes accidentally hung up on the caller before a teammate hopped on. Our phone turrets were confusing as hell. My ears perked up! Ethically, I should have hung up. But out of sheer curiosity and survival, I pressed mute instead. My future depended on it. Oh crap! I knew all my trading would come back to haunt me. I was already given a talk a couple times before about how I was spending too much time trading stocks, and not enough time focusing on my job. It would have been a dream come true to move to Taiwan to work. My heart sank. My boss didn’t like me and I knew my days were numbered. It was mid-April, 2001. Knowing my last day for employment would be sometime in June was depressing, like I was waiting for the electric chair. Plenty of people I knew were getting laid off and I was starting to panic mentally. Tom hadn’t explicitly told me I wouldn’t be asked back, but I wasn’t going to wait to see if he did. Then another phone call came one early May afternoon. This time, there was no need for me to pick it up because the VP sitting next to me did. During my job interview process, Elaine had been my harshest interviewer. A graduate of Barnard College and The Wharton School of Business for an MBA, she was a strong woman you did not want to mess with. Just when I thought I had gotten the job, she requested to interview me a second time over coffee and asked more grilling questions. After about a minute of conversation, Elaine said while on the phone, “I think you might want to speak to my colleague here.” She turned to me, told me to pick up the phone and have a chat. I was confused, but I did as I was told. On the line was a guy named Michael. He had a nervous stutter. “Hi there. Your colleague said you might be interested in working for a competitor covering west coast clients in San Francisco. Are you interested?” Michael said. “Sure, I understand. Let’s talk more in private when you’re off the desk about what it would take to make you move.” Michael responded. I was thrilled! I turned to Elaine after I had hung up and told her thank you. She was looking out for me because she also knew my days were numbered. I took a day off in order to fly out to San Francisco and meet the team on a Friday. They were a great group of fellas and I especially liked the guy I was going to work directly under. He was intelligent, hardworking, and loved to enjoy life. At Berkeley, where he went to undergrad, he was the Bud Light rep on campus. Everybody loved hanging out with him. * An Associate title, reserved for those who had gone to business school or those who continued to be superstars after their third year as an analyst. * A 64% base salary raise to $85,000 from $55,000. * A guaranteed bonus of $50,000 for the year, even though there would be only six months left if I joined. I went from being out on the streets in a month to getting a raise and a promotion in a new city with a new firm. This series of events was absolutely one of the luckiest turnarounds of my life. For the next seven years, my boss and I competed against my old firm and often won. When my boss decided to leave to a large client, I ended up running the business and hiring a couple people to work for me for the next four years. Of course, since we had such a good relationship, I became a top 3 relationship as well. It was a fantastic ride that culminated with me engineering my layoff at 2012 and preparing my junior colleague to take over. It was his time. It’s easy to get down on ourselves. I’m my worst critic by far. But sometimes, we’ve got to look back and appreciate all the good that has happened to us. Let’s not take our good fortune for granted. Being able to write about my time earning only $40,000 a year in Manhattan as a first-year analyst is a blessing. It reminded me of this lucky memory that had so long been shelved away. I’m telling you, writing will extend your life because you will remember more of it. It’s painful to lose money in the stock market and real estate market. It’s terrible to lose a job you had no intention of leaving. Let us accept that bad things will happen all the time. And when they do, let us not forget all the good luck we received that got us to where we are today. Readers, what are you thankful for this holiday season? Please share a lucky break that you may have forgotten or taken for granted until now. Worked first at a start up research firm that focused on certain Chinese sectors. They had a lot of smart people but none knew what a research product should look like, even though their clients were western hedge funds and investment banks. So my role was a product manager streamlining their research. Then I moved to a biz services firm that had the western investment banks as clients (specifically, the HK offices of those banks) and managed engagements, developed client relationships, etc. Eventually, my wife and I hope to split our time between China (preferably a more pleasant and ethnically diverse area like Jinghong/Yunnan) and NYC. Ah, yes – I remember the stresses of working at the banks in 2001. Interestingly, I was also at 1 New Plaza but at a different bank. In 2008 in the carnage of the Global Financial Crisis, I found myself out of a job. Instead of sticking around competing with thousands of others, I moved to Shanghai to reboot my career. At it was in SH that I met my now wife and traveled all throughout Asia. So I am so thankful for the 2008 Global Financial Crisis! Very cool! What did you end up doing in Shanghai? I’ve always wanted to work in China for a bit. Reminds me of “Who now what’s good or bad” from Farmer and his horse story. Fascinating career story! Certainly most of us who have had great careers have had good fortune along the way. But don’t forget, no matter how smart you are, a monkey throwing darts is just as likely to get the next five years right as your are. Great story! Interesting, we were just sharing “lucky break” stories at Thanksgiving dinner this year. At 53, I finally realized a lucky break that I received years ago but never quite appreciated until now. When I got out of the military (right after high school), I had always planned to go to college. My grades and test scores were far from stellar. When I applied to the school, the director of veterans affairs, a retired Army Colonel, took me under his wing. He pulled strings and got me into engineering school without me having to apply. I basicially just showed up for classes. There is no way that I would have gotten accepted based on my prior academic performance in high school (having too much fun and not enough focus – LOL!) Without that degree I would never have worked for NASA (now withing 2 years to retire) nor started writing books. By far the biggest break I ever got. Einstein said that the only reason he could see so far was because he stood on the shoulders of giants. How true. I wish that everyone gets a break, and if you have the opportunity to help someone move along, then give it out of love and faith in that person. Take care! 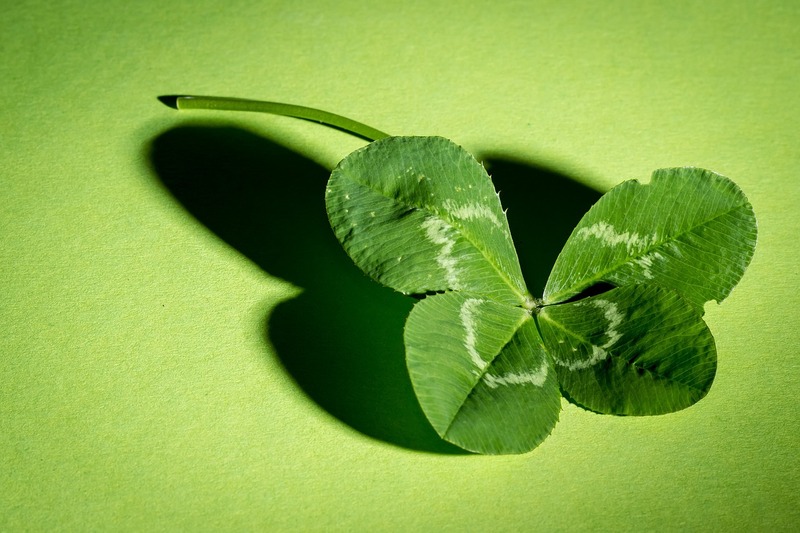 Luck plays such a huge factor in all our lives but I am not sure that we always recognize it when it happens; how lucky we are usually becomes clear in retrospect. My father and I drove through a snow storm for my AFROTC interview; I was under weight but had the grades. I had a late growth spurt, and grew about a foot over 18 months ending in the middle of my junior year of high school. Being a runner, you can imagine how skinny I was. I got the scholarship, but I was also on a weight gain plan. If I was still below the minimum weight for my height, the military would not take me. Fortunately, I put on the pounds as my body caught up with my height, but I still think there may have been a thumb on the scale. By the time I graduated college, and actually joined the military, I was comfortably fit 6′ 155lbs. A funny related story is that a few years later while flying commercial, out of uniform, but for a military event, I happened to be sitting in an exit row. The stewardess asked me if I thought I was able to open the emergency door; if not, I would have to move. The older man next to me had a smile on his face when I said, “I hope so. I’m a LT in our Air Force.” I said that as I showed her my active duty ID. We all had a chuckle. During economic downturns, one key thing to do is to look at them as buying opportunities. The very reason that my wife and I are as close to retirement as we are, is the 2008 downturn. That was the first one where we had any appreciable savings, and in the years that followed we saved a ton. Going to stack some money in my savings account so that when/if the predicted 2020 financial crisis hits, I can buy shares/etfs/etc at discounted prices. Thanks for posting your comment. It is interesting reading the stories of Sam’s readers. These are the memories that stick with us forever. Thanks for sharing! Have you wondered what would have happened if they had transferred you to Taiwan? Maybe FS may have never been realized! I was 23 years old making 26k a year and just bought a condo in 2005. The mortgage was clearly more than I could reasonably afford without appreciation so we all know how that went. Starting trying to figure out ways to make more money to offset some of these Real estate losses. Opened a few diff side businesses but not enough success to stop working and focus solely on that. All thanks to the housing and stock crash. Former NYC mayor Michael Bloomberg is in the news this Thanksgiving season for giving over $1B to Johns Hopkins University for undergrad education. Well, it isn’t the first time he gave because I entered as a Bloomberg Scholar in 2003 and graduated without a dime of debt because of him covering all “financial need”, my parents’ savings, and me working hard to graduate in 3 years. In this day and age of college costs, I’m very thankful for that lucky break to start out my adult life at break even. GREAT STORY! Happy thanksgiving to you and the family. I am in my sixties and the mom of a child that attended a top IVY target school. Had many job interviews for the critical summer analyst position after junior year in college. Back then there were only a few TARGET SCHOOLS they visited. So I am wondering how you wound up at GS from William and Mary to begin with. Did Goldman actively recruit there? Btw my son wasn’t hired by Goldman after a few rounds of interviews with them and would up at JP Morgan and given offer at end of summer internship which he took. Thanks. Thanks. Congrats on your son getting a job at JPM. BTW, how did you know it was GS? I purposefully left out my employer’s name in this article. I got the job based on 50% luck and a recruiter on my side, 30% waking up at 5am on a Saturday morning, and 20% improving my interview skills after the 10th interview. Happy Thanksgiving Uncle Sam! We want to hear more recent stories as exciting as these from 20 years ago! Cheers! Great article. Definitely one of the best ones that keeps the world in perspective..
First of all Happy Thanksgiving!!! And wow what an incredible story. You really lucked out. It just made me remember I had a somewhat similar experience during my career. I was working at my second fulltime job as the second lowest ranking member of a small department. I was friends with a teammate who was a year or two more senior than me. We had been noticing our clients were shrinking and were kinda wondering if our days could be numbered. Low and behold one day my friend found an email one of our bosses forgot to pick up from the printer and showed it to me. It was from the MD of the office ripping our boss a new one and basically saying our department was going to get shut down. I started looking for a job that night! I kept aggressively looking for a new job until I found one and gave my 2 weeks notice. It ended up being an excellent job hop and because of that email I was able to transition into a new job quickly before my old department was shut down. Great story Sam! I’ve had several like that in my life (I’m 52 now). One of my first was applying for a job while I was in college. I had zero family support and was on my own. The job I had was barely over minimum wage with no benefits of any kind. I had worked there for just over a year and had done a good job. I asked my boss for a raise, and he responded that the pay was set an there was no opportunity for a raise. My new job search started at that moment. A few weeks later I interviewed for a clerical position at United Parcel Service. I got the job and was extremely excited! It was a 50% pay raise and included significant additional benefits. I was promoted within 3 months! That opportunity laid the groundwork for me to finish my degree with honors and much less stress! My main point is this: always be grateful for even what may appear be the smallest opportunity and make the most of it. Always position yourself to be able to jump at an opportunity. They are all gifts to be treasured. Several decades later, I’m working to teach my sons and daughters these lessons. I pray they pay attention! Thank you for sharing, Sam. It takes courage to share stories like that. Thank you for sharing. You’re such an inspiration. FS, what a great post. As long as I’ve been following your journey, you always have new information and lessons for us readers. Your thanking of VP Elaine sums up the sentiment of your moment then, as well as today. My takeaway from this post was your observation, “The value of money comes nowhere near the value of time.” So true. Recently came across a similar sentiment, “There will always be tons of millionaires. But there will never be any immortals.” Happy Thanksgiving to you, and all family and readers of Financial Samurai. My goal is to tell at least one Thanksgiving story before I forget them all. I followed up with my old colleague Elaine, who is now an MD and on the board of another bank, and she told me she doesn’t remember passing the phone to me when the head hunter called her or grilling me over coffee for another interview! It was funny. So fun to relive and record these memories. What a lucky set of events starting with a phone call. Seems the universe was looking out for you. Of course part of it was you making the most of the opportunity. A lot of people have opportunities come in front of them and either don’t recognize it or are complacent and don’t want to push out of their comfort zone. If you did not get that first phone call but only started the story from the second one would you still have jumped at that opportunity? I’m sure there were some that would have stuck it out only to be terminated before 3rd year. 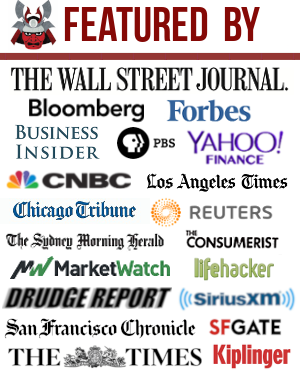 Thanks for sharing- I’ve been an avid FS reader for 2 years, thanks to your writing I was looking to convert my stock success to real estate, and went 80% cash at the market peak as a result. Please keep posting Sam – you have real talent for it. Congrats on the great timing! Hope you put that good fortune to good use. Holding onto one’s gains is truly one of the key skills an investor must master. Thanks Sam, indeed I did find my dream residence after much looking, including online and summer road trips. Its turned out to be a great thing, I’m leaving 90% of the details out here. Observing the good in your life when times aren’t favorable is a healthy exercise. Your story is a great reminder of how life brings you unexpected gifts when you least expect them. It’s a great one to share on this holiday dedicated to giving thanks. Awesome post Sam and very timely! We all have to be grateful for all the blessings and the fortune that we have in life. Family, Health, Friends, Careers, etc. It is so easy to get wrapped up in some of the things that are not perfect in our lives and forget all the lucky breaks. Hi Sam, really enjoy receiving your informative emails. Truly thankful for being married to my wife of twenty years which traces its roots back to a time of tribulation in my life. I had just graduated college (USC) and started working for a top CPA firm. The initial enthusiasm quickly dissipated after the long arduous hours required of new accountants. Boredom quickly set in and I became very restless and quite often found myself day dreaming staring out the window of companies where I was holed up analyzing reams of data. After two years of 12~15 hour day grinds I received a call from a headhunter (yes, we called them that back then) who asked if I wanted to double my salary and go overseas on an adventure, to work. It was that one lucky break back then that literally transformed my life and pointed me in the direction that got me to where I am today. I did a four year stint with an aerospace company in the Middle East which was followed up with a couple years in S Korea. Met my wife who also happened to be working overseas at the time, we traveled the world together, and I was able to save up a boatload of money. These days when we are out with friends and the question comes up, and it always seems to, of how we met, I reflect back on those days of ‘paying my dues’ at the first company right out of college, and the one day when that phone call came in and the circumstances leading up to it. And as they say, the rest is history. Very lucky and truly grateful. It’s so great when we finally meet our life partner isn’t it? That’s truly the best luck of all. There is nothing like a little luck, which favors the prepared, and there is nothing like gratitude — not all who are prepared are also lucky. Cool Post!! Stuff happens and we all need to make the best of it and be Thankful for the opportunity. Have a great Thanksgiving. Great reminder Sam. There are so many times in life things could have easily gone a different direction. Be thankful for where it went right. If it is difficult for you to start a new life, then get a special notebook for yourself. Write in it that for which you are already grateful, and for what you want to have in the future. Every day, go back to this list. Soon you will begin to notice how your business will go up. You will begin to concentrate on the good, stop feeling sorry for yourself and complain about life. Feeling sincere gratitude over and over again, you will become happier, more inspired and cheerful. This feeling will help you achieve success. If you want your wishes to come true and life will be adjusted, communicate with the world in the language of gratitude! Great story Sam! Sometimes good things just come your way and it’s important to recognize them. But it’s way more important to do what you’re doing now and still have gratitude that they did years afterwards. That mindset of gratitude can carry a person through really hard times.